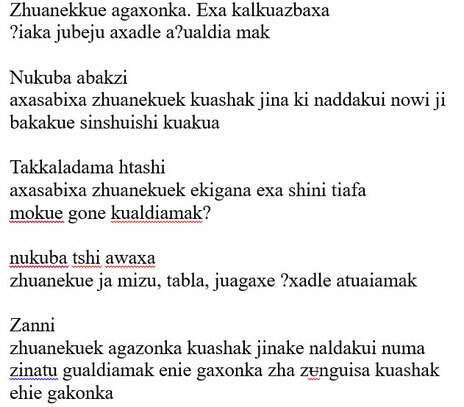 Preface: The Kogi culture is fascinating and I can inspire you to do your own investigation. As I believe we need more people believing in the planet and it's creatures! 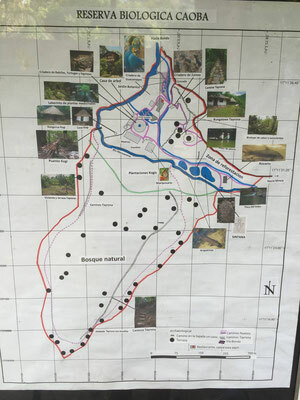 At the bottom of this article you will find information and pictures of the abundance of indigenous Kogi history we have on our property and for our guests when they visit and stay. Please remember, as the title suggestions, this post is from view of “what I understand about” the Kogi, and I only have been researching for a small time. 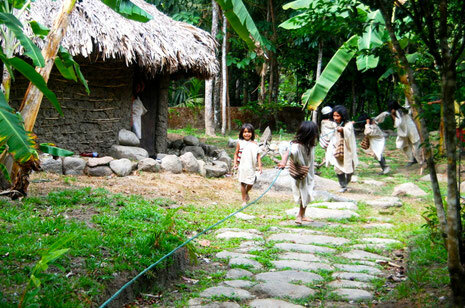 The Koguis are the decedents of the ancient culture of the Tayrona, and are an indigenous ethnic group that lives in the Sierra Nevada de Santa Marta in Colombia. 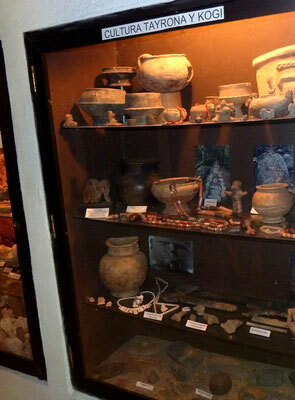 Their civilization has continued since the Pre-Columbian era. 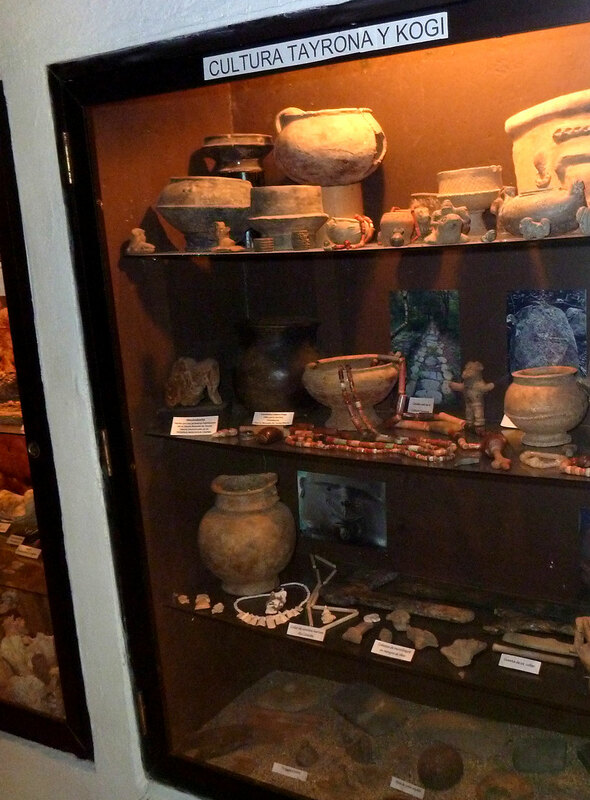 Pre-Colombian era! That is a long time! In fact some texts say the Koguis are the last surviving culture past The Aztec and The Inca. That means that the Kogi were around before the Spanish arrived and because of the Sierra Nevada mountains, the largest coast mountain range in the world, they have remained there intact and now represent over 30,000 people. They believe Sirerra Nevada of Santa Marta mountain is the “Heart of the World” and the Amazon being the “Lung of the World”. 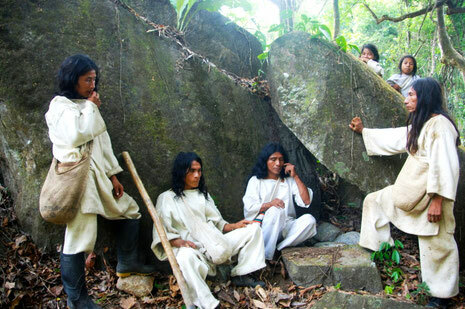 The Kogi believe they are the “Elder Brothers,” the guardians of life on Earth. Through their mind power and meditation they keep the world in balance. They live in “Aluna,” an inner world of thought and potential. They believe that people who are not Koguis are the “younger brothers” and we need to listen to there message or the world will no longer exist. In 1988 the Kogi allowed a BBC Journalist to enter into there land for the first time so that the Kogi people could deliver a similar message on film. Check out the documentary "From the Heart of the World" below and learn more than I could every possibly share in this one article. The message is clear if we continue on the path of destruction we are on the natural world will no longer exist. This message was delivered by a Kogi Mamo their version of tribal priests, and advisors whom which are not necessarily “shamans” that western society thinks of. 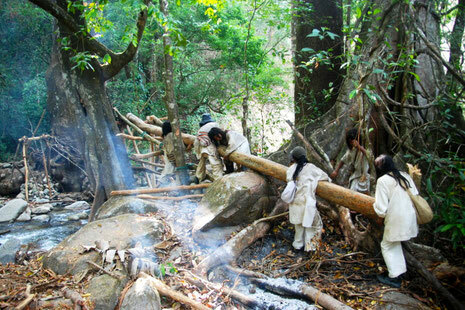 A Kogi Mamo has a remarkable journey that they have to take before they become spiritual and societal leaders in which they spend their first 6-9 years of childhood in a cave learning the teachings of Aluna among other beliefs. The cave can be said to represent the womb of mother earth which a Mamo must understand before he sees the light of the world. 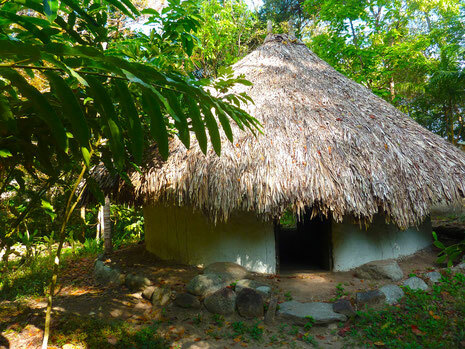 Also remarkable and not often talked about is the way the Kogi and Tayrona people survived in the jungle using a form of ancient permaculture. 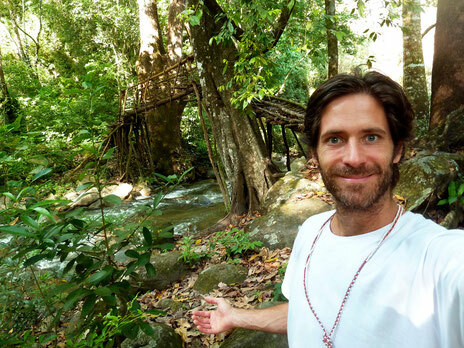 The word permaculture is a new term and when you read about the techniques that ancient people used you can see why some believe permaculture is an inappropriate word to use as it takes the credit for methods that have been in use for thousands of years. The Tayrona and then the Kogi built terraces and flat spaces all over the Jungle, connected by ancient stone paths in which they not only lived but cultivated crops for food. At one point the Kogi people had numbers of around 300,000! They did this all without polluting the planet or using up too much resources. This is the message and knowledge they wish to share. How to live a lighter life on mother earth. 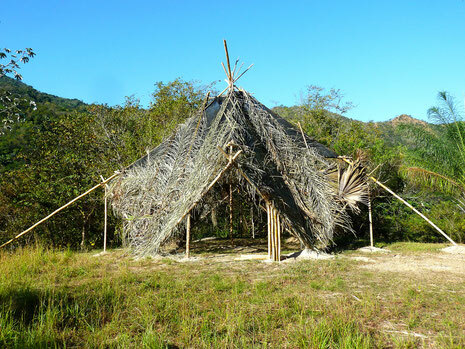 At the Reserva Biologica Caoba, we currently have 4 Kogi style homes which 2 can be lived in, with the third being where we have our bonfires and display examples of Kogi petroglyphs drawn by recent Koguis. The forth is actually still inhabited by the Kogi when they travel to us from from the mountains. We have a social contract with the Kogi people to never allow other people beside the Koguis themselves to sleep on the fourth Kogi home. 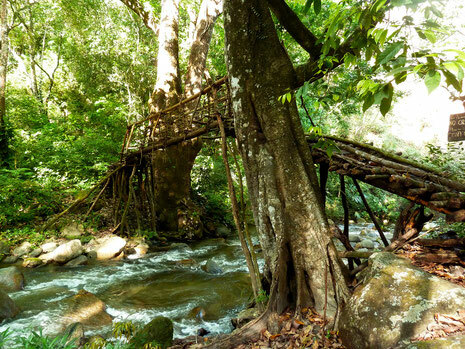 Next to the Kogi home is a authentic, handmade bridge built by the group of Koguis that come and stay on the property from time to time. More Kogi history on our property is the swimming hole called the Pozo de Indio, which was used by only the most important Kogi leader in the village. Here you will find an authentic, over 800 year old Kogi rock carving of Sintana the Kogi god of Sun and Animals. 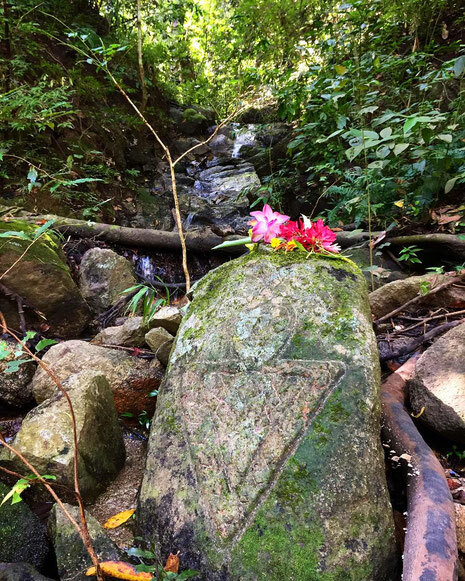 This artifact is at the base of a small waterfall that flows directly into the swimming hole. One of the 50 terraces is our highest, above the two Bungalows touching the stars. This terrace was to be of the spiritual leader at the time is is 800 years old or older. We currently have built a mediation pyramid adjacent to the yoga temple soon to be built. 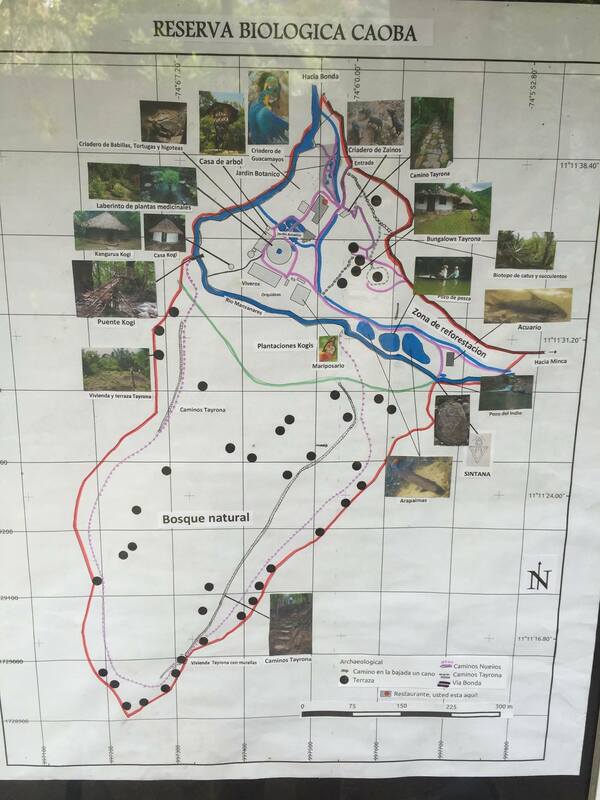 As the Kogi are said to essentially mediate to hold the world together, having a yoga and mediation spot feels natural, like most of our features on the reserve. 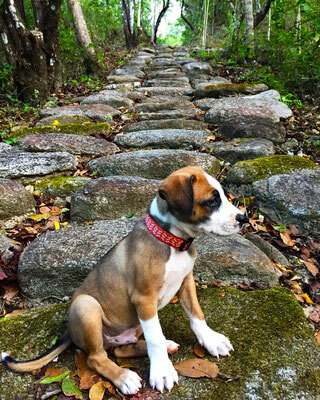 We like to build with nature rather than against. 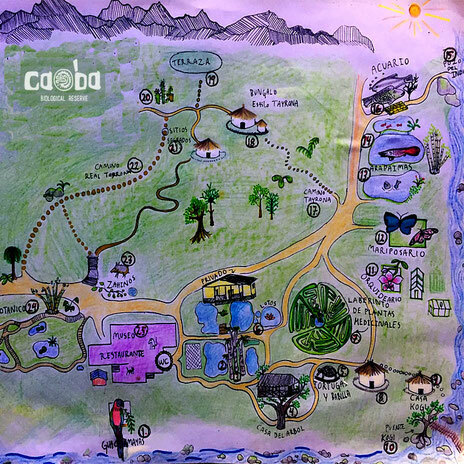 Honoring this unique and beautiful heritage still present on the property Caoba is also a reserve for over 300 species of medicinal plants, over 200 species of trees and countless animal habitat that has been created by over 20 years of loving work. 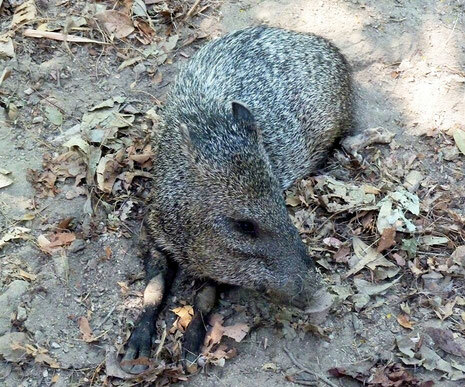 We currently do our best to reproduce endangered species ranging from the majestic macaw, to babillas (small crocodiles), jesus lizards who run on water, wild boars and preservation of the over fished amazon mega-fish called arapaimas, which are the largest fresh water fish in the Americas. I hope you enjoyed my take on Kogi history and although I only have a small time researching them I hope I have given enough wonder for you to check them out even further. I hope you also consider and supporting places like ours that are living lightly on the land, respecting and preserving is creatures, just as the Kogi philosophy so adamantly believes. At the moment Dr. Ebarhard Wedler, (founder) is helping preserve the Kogi language, which is rarely written, so that their words can be forever etched in history. Here is a short sample. If you have any questions or feel some text can be better explained write us or write a comment. We would love as well for you to write your version and we can post it on our blog so that more can be learned about this amazing culture. See you at Caoba! Book your stay today in one of our Kogi houses or even stay in our Tree house overlooking the spectacular Manizales river.